If you are coming to visit Stockholm on a cruise you surely will be interested in knowing the best way to get from the cruise ship to downtown Stockholm and also what you can do during your stop-over in the capital of Sweden. In this article I will explain you which are the cruise ports in Stockholm, where they are located, how to travel from them and what to visit. Stockholm has different cruise ports located in the city. These are called: Värtahamnen, Skeppsbron, Frihamnen y Stadsgården. Here you can find a map with the location of these ports. Approximately 60 km / 40 miles to the south there is the port at Nynäshamn. Depending on the company you booked your cruise with your ship will arrive at one port or another. 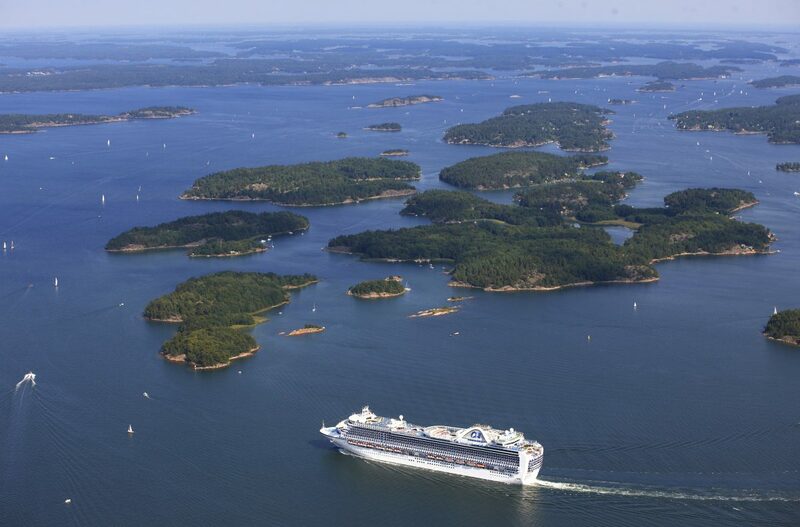 “Nordic Capitals” cruise from Costa Cruceros was arriving to the cruise port at Stadsgården but now it is planned to arrive at Frihamnen and Pullmantur‘s “Baltic Capitals” had Nynäshamn as destination but this year it will be arriving at Stadsgården or Frihamnen depending on the date. Similar things happen to the ships of MSC Cruises or Cruise & Maritime. You should check with your company. I am going to explain the best way to get to Stockholm’s city center from each and everyone of the usual ports of call and depending on what you want to see and do. Frihamnen’s port of call is located at the northeastern part of the city at Lilla Värtan strait just in front of Millesgården statue-park and museum, one of my favorite museums in the city. Tallink and Silja are two of the companies using this port. There are 3 Visit Stockholm’s tourist information offices located at Frihamnen. Its location is on piers 634, 638 and 650 which you can check on this map. Once disembarked you can visit the office to get informations and maps of Stockholm, buy a 1-day tourist visitor card – called Stockholm Pass – or simply buy a public transportation period card or ticket if you plan to use it a lot during your stay. If you are wondering if it is worth let me tell you already that “yes, it is”. Getting on a bus, metro, tram or boat more than 4 times in a day has already paid the price of a 24 hour period ticket. You have two options to get to Stockholm’s city center from the port at Frihamnen and you have to choose carefully because the port is served by two bus stops Frihamnen and Frihamnens färjeterminal (ferry terminal) which are located next to each other but one of them is just used on the way back. Depending on what you want to see and do in Stockholm during your cruise stop-over you may choose to get to the center by bus or by a combination of metro and bus. Getting to the city center may take you around 25-35 minutes. 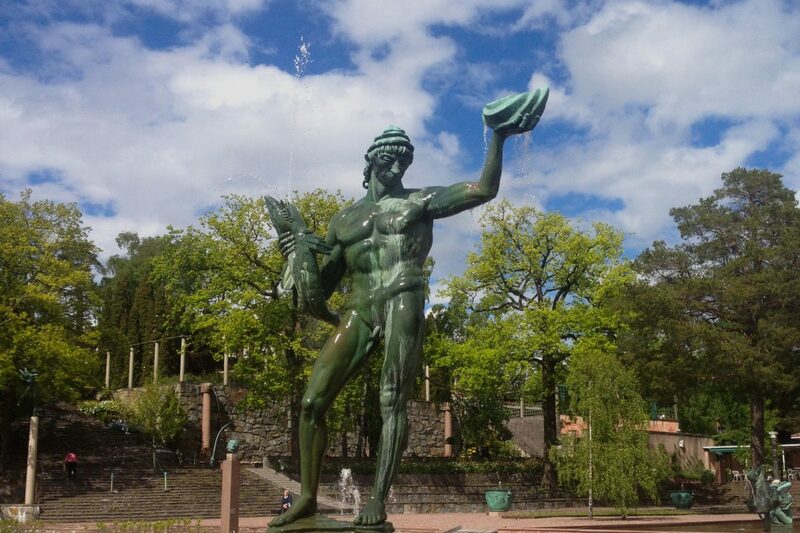 Other destinations like the island of Djurgården are less than 15 minutes away by bus. As I mentioned before Millesgården Museum and Statue-park* is located just in front of the port at Frihamnen. The location is ideal to pay it a visit upon arrival. Take the bus 76 towards Ropsten. Then at Ropsten get on one of the following buses: 201, 202, 204, 206, 211, 212, 221 until Torsviks torg bus station. The museum is a 5-minute walk away from the bus stop. After the visit return to Ropsten and get on the underground and use the red line to travel to the city center. For the following visits you just need to take the bus number 76 towards Norra Hammarbyhamnen and get off at the selected bus stops that I am telling you. If you want to visit the island of Djurgården because you are interested in famous museums (The Vasa Museum, The ABBA Museum*, Skansen, Spritmuseum, the new Viking Museum in Stockholm*, the aquarium and others … they are all located here) take the bus number 76 at Frihamnen bus stop and get off at Djurgårdsbron. If you want to travel to the area of Norra Djurgården where you will find panorama views from Käknastornet tower* and some of Stockholm’s free museums like Sjöhistoriska – The Maritime Museum, The Etnography Museum or The Museum of Science and Technics* take the bus 76 at Frihamnen and get off at Berwaldhallen. Then change to bus 69 bound for Käknastornet / Blockhusudden. If you fancy a little shopping in Stockholm’s city center be it at Drottninggatan shopping street and the surrounding shopping area or in shopping malls like Åhléns, NK or Mood Stockholm the best way is to take bus number 76 and get off at Kungsträdgården (på Kungsträdgårdgata). NK and Mood are a short walk away from the bus stop. If you prefer going to Drottninggatan or Åhléns take the tram here that will leave your even closer. To get to the heart of Gamla Stan (here is a guide to visit it) take bus number 76 and get off at Slottsbacken bus stop which is located on the backside of the Royal Palace and very close to the famous Stortorget Square dominated by beatiful colored houses which are one of Stockholm’s most photographed sights. If you want to reach the southern island or Södermalm you can also use the bus number 76 until reaching the northern entrance of the island at Slussen and from there get around by metro on the green line towards the southwest (Medborgarplatsen, Skanstull) and the hipster area at Folkungagatan or on the red line towards the southeast and Mariatorget, Zinkensdamm and Hornstull to visit the gardens at Tantolunden, Årsta Bay, the lookout at Monteliusvägen*, etc. 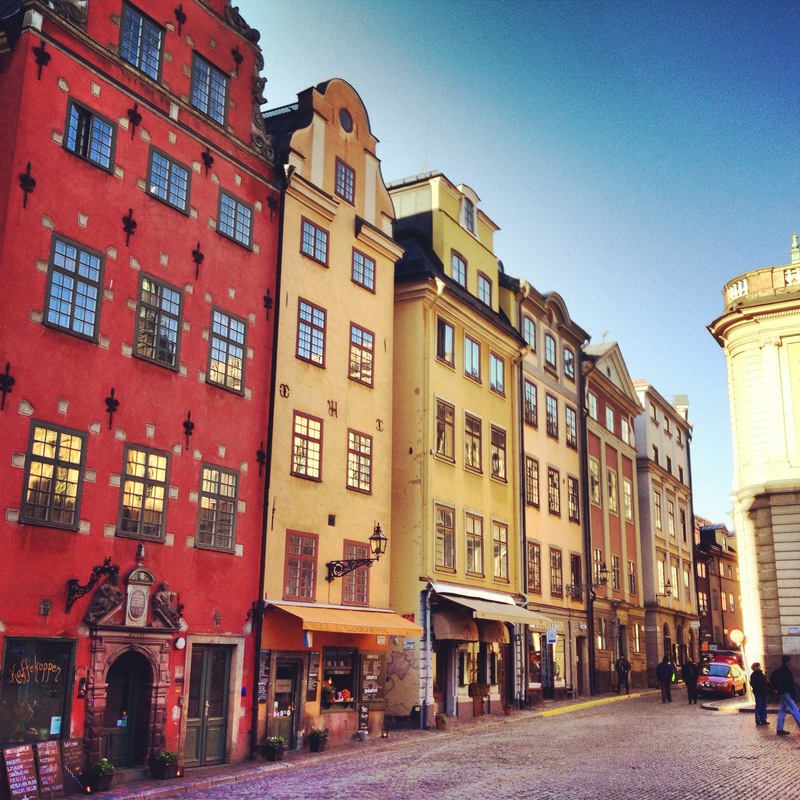 I have also outlined more things to see and do during a cruise stop over in Stockholm*. If you want to stay longer before or after the cruise check the hotels for families with kids* that I can recommend or if you are traveling as a couple the luxury hotels in Stockholm* or my 5 favorite hotels in Stockholm*. Stadsgården cruise port is located at the northeastern part of the island of Södermalm. Birka and Viking Line – whose ships take you to Finland use this port of call. 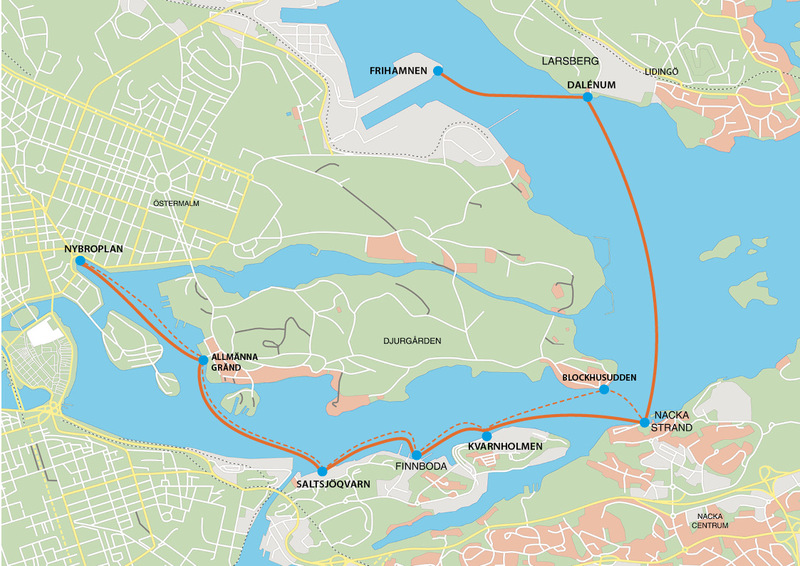 Your access point to the city will be the metro stations at Slussen a mere 10 minutes walk from the cruise port. Another options is walk back towards the outskirts of Stockholm for 7 minutes until you reach the bus stop at Londonviadukten and getting on one of the following buses 434, 443 or 444 bound for Slussen. If you decide to walk all the way to the city your first stop should be Fotografiska, the Museum of Photography* which is just beside the passengers’ terminal. There is a tourist office at the terminal building where you can buy both the travelcard and the Stockholm Pass tourist visitor card. 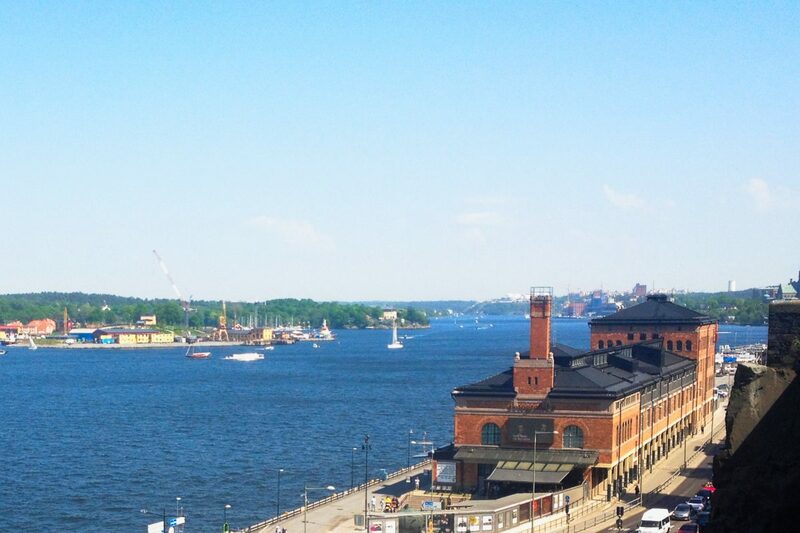 If you want to reach the island of Djurgården to visit Stockholm’s most famous museums then get to Slussen and walk through the eastern shore towards Gamla Stan and the piers where the ferries to Djurgården depart. It’s a 5-minute walk from Slussen. If you possess a 24-hour travelcard (or any period ticket) then these boats are included in the price. If you want to travel from Nynäshamn (60 km / 40 miles – to the south of Stockholm) to the city center you can do it by train from Nynäshamn central station located 6 minutes away from the passengers’ terminal. Price for the trips is 48 SEK one way (around $6 at the current SEK-USD exchange rate). This is a commuter train (pendeltåg in Swedish) and the trip takes around one hour. You can also travel by bus on board Flygbussarna buses costing 109 SEK (around $14) one way for adults and children older than 11 years old. Children under this age travel for free. While in Stockholm you might be interested in booking one of these guided tours and visits which likely will be cheaper than those offered on board. If you are looking for some ideas about what to do in Stockholm for free, what to see and do in Stockholm in 3 days, or getting to know Stockholm and the archipelago by boat check the links througout the article. If you have any doubt, comment or question feel free to leave me a message below and I’ll get back to you as soon as possible.